Researcher, conductor and keyboard player specializing in the Middle Ages and Early Modern period, David Catalunya cultivates a double profile as a scholar and performer. Leading his own group, Canto Coronato, and as a member of other notable ensembles in the field of late-medieval music, David Catalunya pursues a prolific artistic career mainly focused on musical repertoires from the 13th to the 16th centuries. He collaborates with the ensemble Mala Punica (dir. Pedro Memelsdorff), and is a founding member of the ensemble Tasto Solo (dir. Guillermo Pérez). In 2006 Pérez and Catalunya were awarded the First Prize of the Festival Laus Polyphoniae (Antwerp, Belgium) for their outstanding organetto-clavisimbalum duo performance. His discography includes most notably the CDs Faventina (liturgical music from the Codex Faenza, with Mala Punica), Meyster ob allen Meystern (15th-century keyboard music, with Tasto Solo) and Le chant de l’eschiquier (Dufay and Binchois songs in the Buxheim manuscript, with Tasto Solo), and Early Modern English Music, 1500-1550 (with Tasto Solo), which together have received more than 30 international awards, including Choc du Monde de la Musique, Supersonic Award, three times Diapason d’or, and a nomination for the International Classical Music Awards 2018. David Catalunya has performed in the most renowned festivals and concert halls throughout Europe and America, and has been invited to give courses, workshops and master-classes at international centres of early music, such as the Schola Cantorum Basiliensis (Switzerland), the Haute école de musique de Genève (Switzerland), the Conservatorium van Amsterdam (The Netherlands), the Grieg Academy (Bergen, Norway) or the ESMUC (Barcelona, Spain). He is a member of the Organ Academy of Cuenca (Spain), where he has taught since 2011. 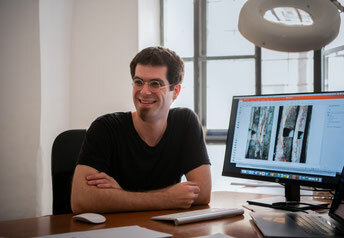 Parallel to his artistic activity, David Catalunya holds a research position at the University of Würzburg (Germany), where he serves as an editor of individual volumes of the monumental series Corpus Monodicum (11th- and 12th-century sources). He has been an Associated Director of DIAMM (Digital Image Archive of Medieval Music - Oxford Faculty of Music), which leaded him to work in numerous European libraries. Under his personal supervision, emblematic sources such as the Llibre Vermel of Montserrat (14th c.), the Cancionero de la Colombina (15th c.) or the complete collection of Mozarabic codices of Santo Domingo de Silos (10-12th c.) have been digitized. David Catalunya regularly presents his research at international conferences, and he has also spoken at universities in Oxford, Cambridge, Bristol, Leuven, Boston (MIT), New York (CUNY), Ithaca (Cornell University), Ohio and Oregon as a guest lecturer. His publications include the discovery of new sources of medieval polyphony. Currently he is preparing the release of his book Music, Space and Ritual at Las Huelgas of Burgos, 1200-1350 (forthcoming in LIM, 2018), and an introductory study to the facsimile edition of manuscript British Library Add. 36881, one of the four main sources transmitting Aquitanian polyphony of the 12th century (forthcoming in DIAMM Publications).